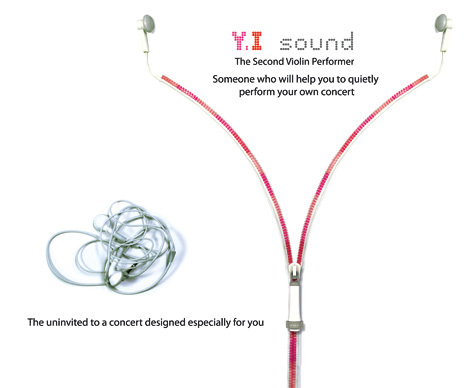 The YI earphones concept will take care of a lot of wire-tangle-hassles in the future when they go into production. 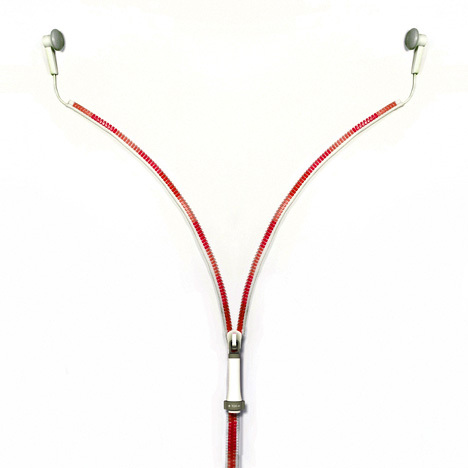 Simple thought process and application… If pants can have a zipper to hold in the essentials then why the idea can’t be used on earphones to manage them when not in use. 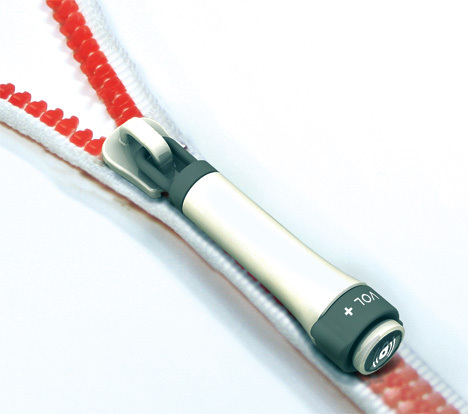 Zip then open when you want to use them; zip them shut when you want to store them. 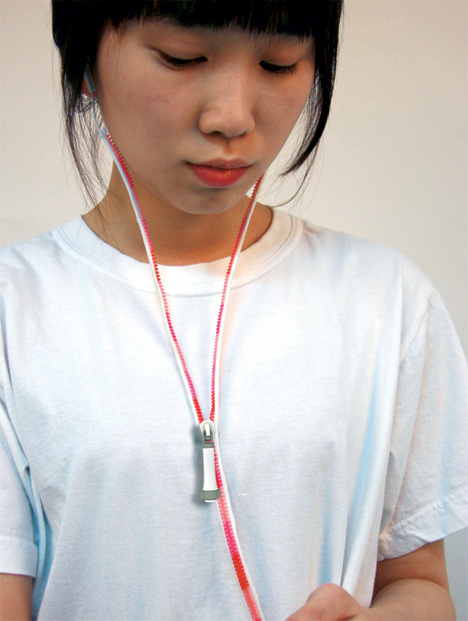 They come with volume control button and all. 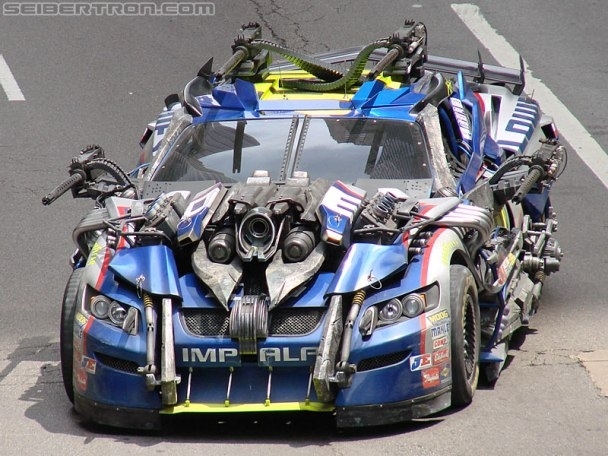 It looks as though the Decepticons have found a new disguise for the upcoming Transformers 3 movie, scheduled for release in 2012. 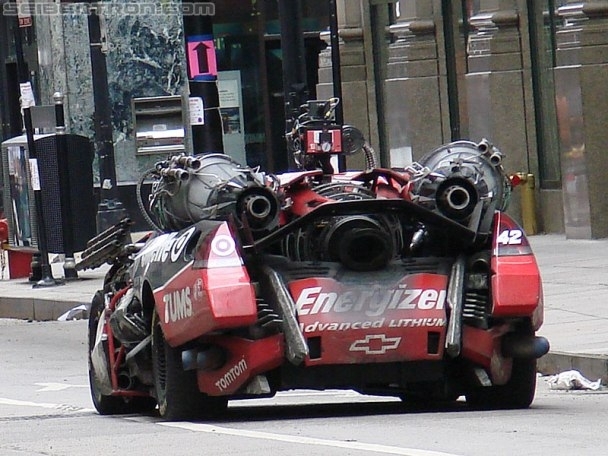 These wild NASCAR-impersonating robots from outer space were seen tearing up the streets of Chicago during filming for the anticipated blockbuster this past weekend. 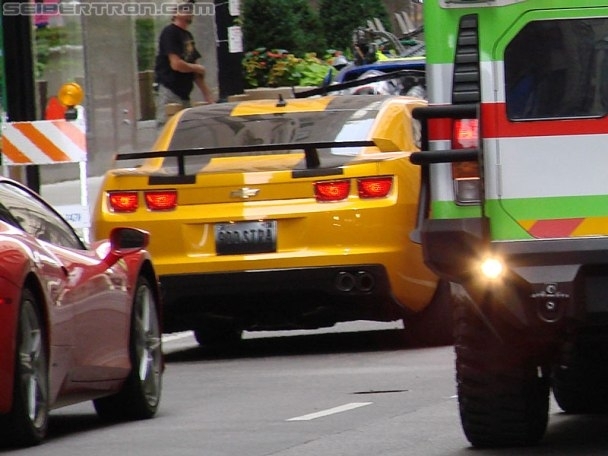 Chevrolet’s presence has been strong throughout the recent popular Hollywood recreation of the 1980′s cartoon series, most notably with Bumble Bee, the yellow and black concept Camaro and the more recent Corvette Stingray concept, both of which were sighted as well during the Chicago shoot. 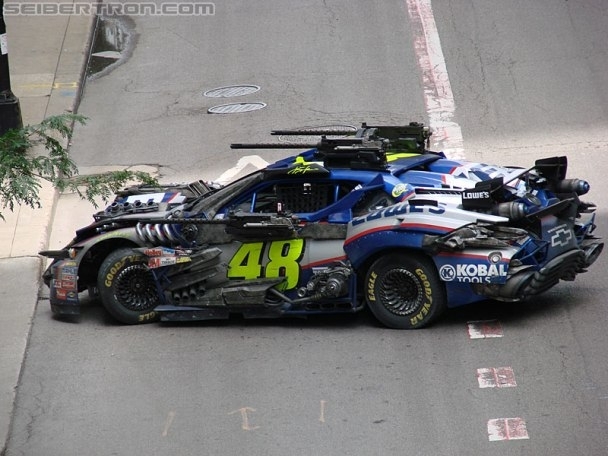 So it’s no surprise that all three of the NASCAR themed stunt-cars are modeled after Chevy-sponsored teams. As everyone has undoubtedly figured out, the release of ‘Cocktails & Condoms’ has been delayed until August 1st. I know nothing could be an adequate substitute for the CD so many people have been waiting on, but as a gift, what I do have is a short interview and behind the scenes look at a mixing session the day before I left S.F. to spend time on the east coast. 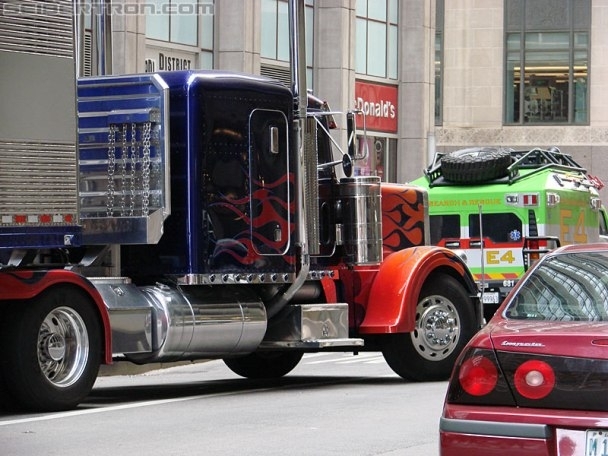 This blog as been running for just about 6 months, not a long time as far as blog’s go, but its long enough for one of my first posts to have a sequel. One of my first posts was regarding the soundtrack to Tron: Legacy, and featured a first trailer for the future Disney blockbuster. Six months later, Comic-con has come-and-gone, but yielded something even hotter than an appearance from nerd girl Olivia Munn… A second Tron: Legacy trailer. Check the method. Not every woman like a guy with lots of tattoos, but I can assure you I’m deffinately a guy who likes women with lots of tattoos. While doing some research on a new piece I want to get during the fall, I came across tons of pics of females who love ink, I figured I’d put a few of my favorites up and see what you thought. 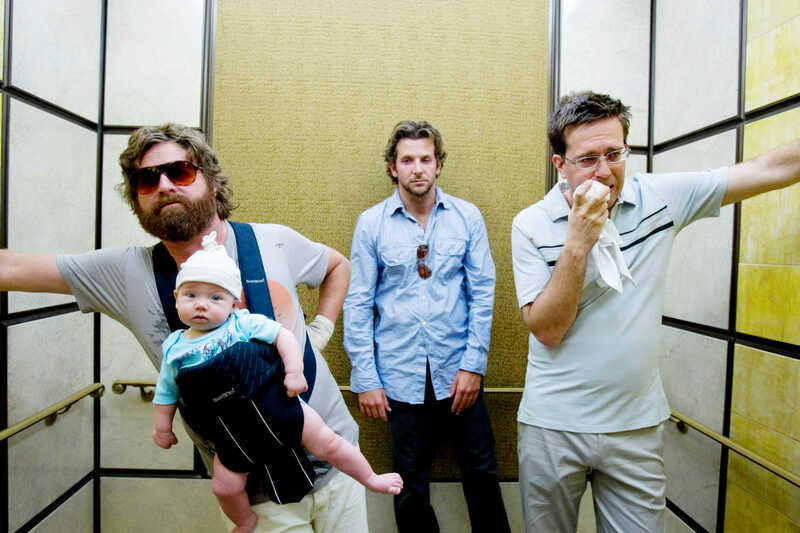 I can honestly say I don’t know a SINGLE solitary person who didn’t enjoy 2009’s ‘The Hangover”, and before the film had left movie theaters I was scratching and clawing for information about a sequel. 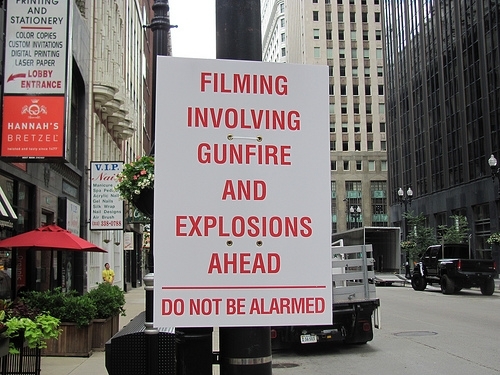 The furthest I could get was hearing details about a movie staring Zach Galifianakis and Robert Downey Jr, directed by the same Todd Phillips. When I got the details it was still mid 2009, and all I knew was that it had something to do with a man trying to get across the country to meet his pregnant wife. Now that its a little bit closer to that film’s “Due Date”… I can present you with a trailer, hope you look forward to it as much as I have been. 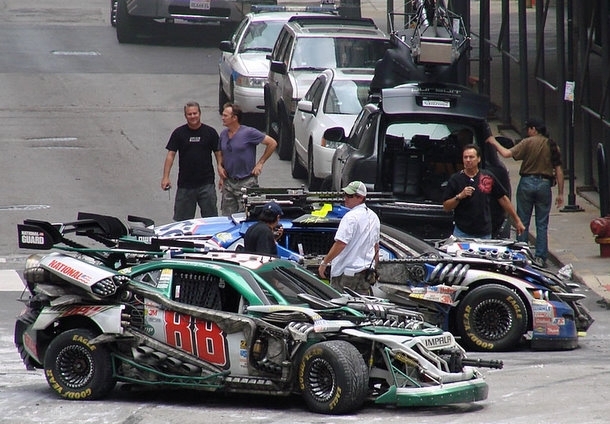 As for the ACTUAL sequel to “The Hangover”, all I know is that the same good ol’ boys from the original film will be back, and doing their thing in a foreign country. Who Knew Light Cost So Much? 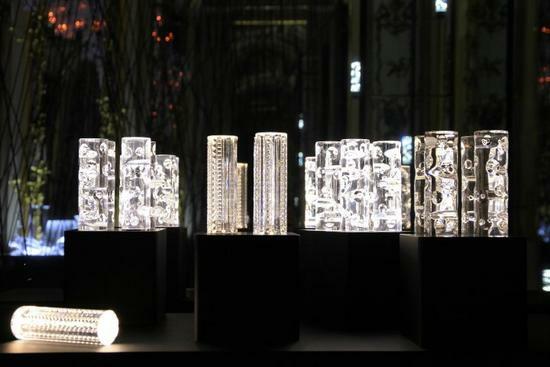 French crystal makers Baccarat has released its latest design in collaboration with renowned Parisian lighting artist Yann Kersalé. The Jallum lamp is made of French cut crystal, aluminum and can be recognized in the form of a glass baton with LEDs inside it. 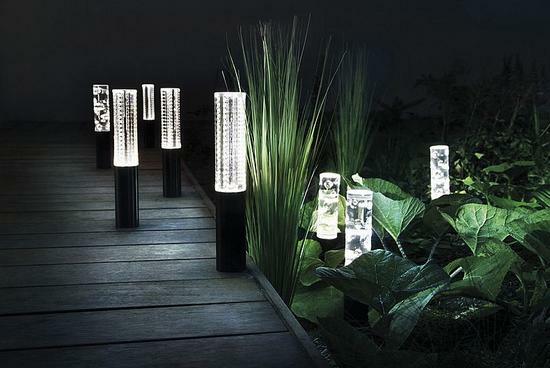 There are four cylinders arranged on a charger cradle and can be placed individually or in groups to light up your space. 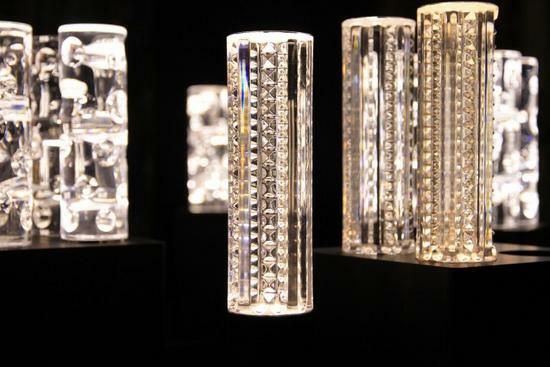 The lamp comes in two models – the Jallum Diamond Bevels and Jallum Pontil bubble effect. The Jallum Baccarat lamp will be available for sale in September for $3,250.